Casual Chic – New Collection at Giereh! I am glad that I may show you parts of the newest collection of Giereh. Giereh always stood for casual chic and again Giereh Thorr released an amazing collection of wonderful casual designs. 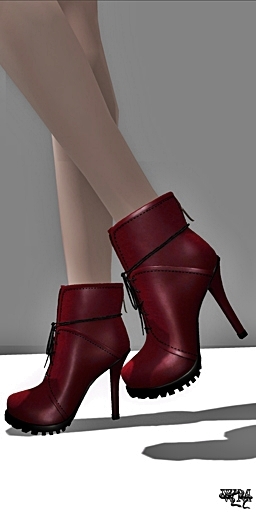 The boots I am wearing as well are made by Giereh Thorr, owner and designer behind the Giereh brand. 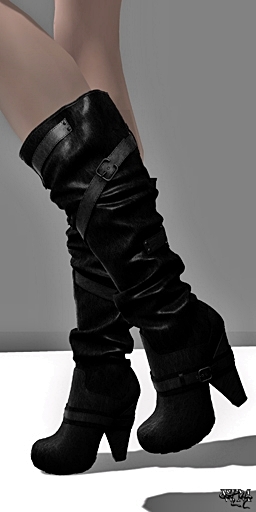 The tiny little and wonderful details on the “Anny Fall Boots” really make them to something special. The folds are stunning and the stripes with the little buckles are perfectly made with a lot of love to the detail if you take a closer look. Even the pins are to see that hold the lines to the boots. For sure the “Anny Fall Boots ” are not only available in black but as well at the white version you can see the work that must be behind that boots. If you are as amazed of the new Giereh Collection as I am, make your way to the new Giereh Mainstore. 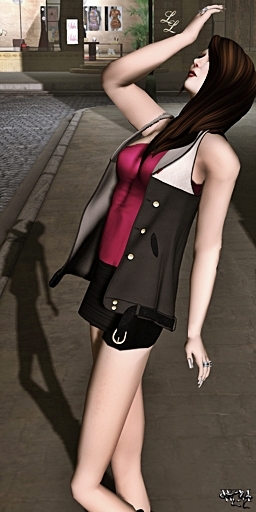 This entry was posted in Fashion, New Releases and tagged 3D, 3D people, Arisia Ashmoot, Art, avatar, Blog, Blogger, Body Talking, Clothing, Couture, eyeliner, Fashion, Fashion in Pixels, fashion poses, Female Clothing, female wear, Finesmith, Giereh, Giereh Thorr, Gireh, Gireh Thorr, High Fashion, Love Soul, LoveSoul, Malicia Python, meta virtual, Model, Modeling, New, new location, New Release, New Releases, New Store, News, photographer, Second Life, Secondlife, Skin, SL, SL Clothing, SL Fashion, SL Style, Style, Virtual World, Wicca Merlin, woman. Bookmark the permalink.